The town's name refers to the fortification built by Paleo-Venetian populations to control of the river Stella. It is a municipality in the province of Udine, in the heart of Lower Friuli, not far from Lignano Sabbiadoro and its entire center is crossed by the river Stella, which then flows into the Laguna of Marano. The mild climate of this area encourages the development of a wide variety of plants, including vines that produce excellent wines. The presences of numerous trekking and biking trails offer the opportunity to discover the several picturesque spots that nature has created in this part of Friuli, between woods, fields, waterways and archeological sites. The discovery of important findings support the conclusion that the area was inhabited since prehistoric times, with accuracy from the Neolithic period. The foundation of the settlement goes back to the Roman times, supported by the presence of typical Latin plan. Originally location of a Roman military camp, chosen for the its particular position on the Via Annia, near to the river and halfway between Aquileia and Concordia, it was transformed into a garrison and then into a town center. At the fall of the Roman Empire, it is plausible that the Roman structures were been partially dismantled to allow the reuse of materials for the building of defensive units. 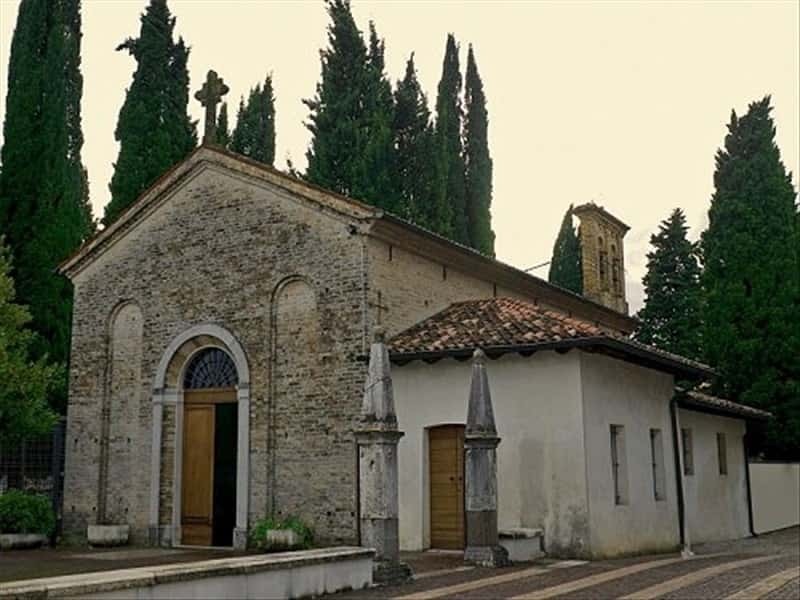 The area was occupied by the Lombards and later belonged to the jurisdiction of the Patriarchate of Aquileia, with whom the inhabitants allied, provoking violent reactions by the Count of Gorizia. In the XV century, the town submitted the domain of the Venetian Serenissima Republic and later suffered the Napoleonic and Austrian rule. - the numerous sites and exhibits that date back to Roman times. This town web page has been visited 20,072 times.